Here is a shield designed to protect India from enemy missile attacks. It is the Ballistic Missile Defence (BMD) shield, a two-layer missile defence system, indigenously developed by the Defence Research and Development Organisation (DRDO). When released, this single stage missile, powered by solid propellants, can intercept an incoming missile and destroy it both in space and in the earth’s atmosphere. On December 28, 2017 at 10 am, India successfully test fired the supersonic interceptor ballistic missile called ‘AAD’, the 3rd test carried out this year. The 7.5-meter long state-of-the-art AAD interceptor used was equipped with a navigation system, a hi-tech computer, an electro-mechanical activator with own mobile launcher, secure data link for interception, independent tracking and homing capabilities and sophisticated radars. Having a diameter of less than 0.5 metre, it weighed around 1.2 tonnes. The test fire involved hitting an incoming ballistic missile, weighing 5 tonnes and having a diameter of 1 metre and 11 metres long, at an altitude of 15 km from a test range in Odisha. Do you know for the first time a woman scientist is involved in the complicated test operations? 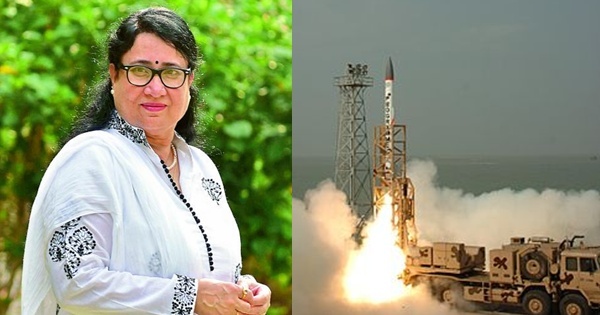 She is the defence scientist behind the development of India’s Ballistic Missile Defence Shield. She is 56-year-old Dr Shashikala Sinha. A mother of two, she is the woman behind making India to stand at par with US, Russia and France in the Ballistic Missile Defence technology segment in the future. Another perfect example of women empowerment in India! Dr Shashikala Sinha hails from Madurai, Tamil Nadu. 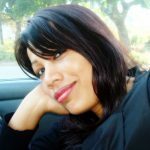 Her father being a mechanical engineer posted with the Indian Army, she traveled places, growing up across the country. She did her schooling from Hyderabad. Mathematics was her favorite subject. St Francis College and then Osmania University gave wings to her career in engineering. Thereafter she joined DRDO and worked for about a year. She quit her job to pursue a Master’s degree from IIT Kharagpur. As an IITian, she started working for the Society of Microwave Engineering, but had to quit when she was expecting her first daughter, Pavithra, in 1989. A few years after the birth of her second daughter, her husband, a Navy officer met with a tragic accident and breathed his last. It was 1997. To support her daughters, the same year, she joined the Research Centre Imarat (RCI) of DRDO in Hyderabad as a contract engineer. Her hard work and dedication led to her promotion as a full time scientist in 2001. Her expertise in the development of flight vehicles, RF seekers, radomes, radar cross sections and related technologies is a boon for India. Besides her research activities, Dr. Shashikala Sinha loves painting and sketching. Within a decade of her role as a full time scientist, Dr Shashikala Sinha was elevated to the post of Project Director for a project involving the task of design and development of a multiple-role long-range interceptor that counters a wide range of threats. The task also involves testing numerous new technologies. Her team successfully tested the indigenous, deployable configuration of the endo-atmospheric interception several times. On 15 October 2016, India and Russia signed an Inter-governmental Agreement (IGA), on the sidelines of BRICS Summit, for the supply of five S-400 anti-aircraft missile systems by Russia to India. S-400 missile system is an anti-aircraft weapon system that uses four missiles to fill its performance envelope for defence on air. The Russian S-400 air defence systems along with the indigenous Ballistic Missile Defence (BMD) shield will provide India protection from enemy missile attacks. India will save on imports on the indigenous technology. 2017 ends with a positive note for India with the third supersonic interceptor test in a year being successfully carried out. Other tests were conducted at Abdul Kalam Island off the coast of Odisha in the Bay of Bengal on February 11 and March 1. India’s attempts of developing a robust multi-layered Ballistic Missile Defence (BMD) shield indigenously has got further boost with these successful tests. Featured image courtesy: Deccan Chronicle and Wikipedia. Tadar Anang: Teen Scientist from Arunachal Pradesh who Developed Goggles for the Blind When a Woman is Determined, None Can Stop Her. Delhi Lady Vidhi Did It! English Medium Education Weakens India. The PISA Test Proved It Sanskrit Inscription, Carbon 14 Test, Koranic Patches Prove Taj Mahal as Shiva Temple Rukhmabai Raut, Child Bride Who Became India’s First Practicing Woman Doctor Assamese Woman Weaves 500 Verses of Bhagavat Gita in Sanskrit in Cloth!